Saint Louis University Athletic Training Program: Hey, Hey, It’s True! 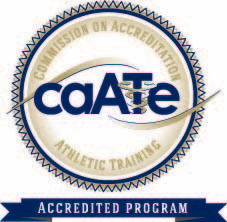 There’s been another addition to the SLU ATEP! Hey, Hey, It’s True! There’s been another addition to the SLU ATEP! Hello everyone! I’d like to take this opportunity to introduce myself. 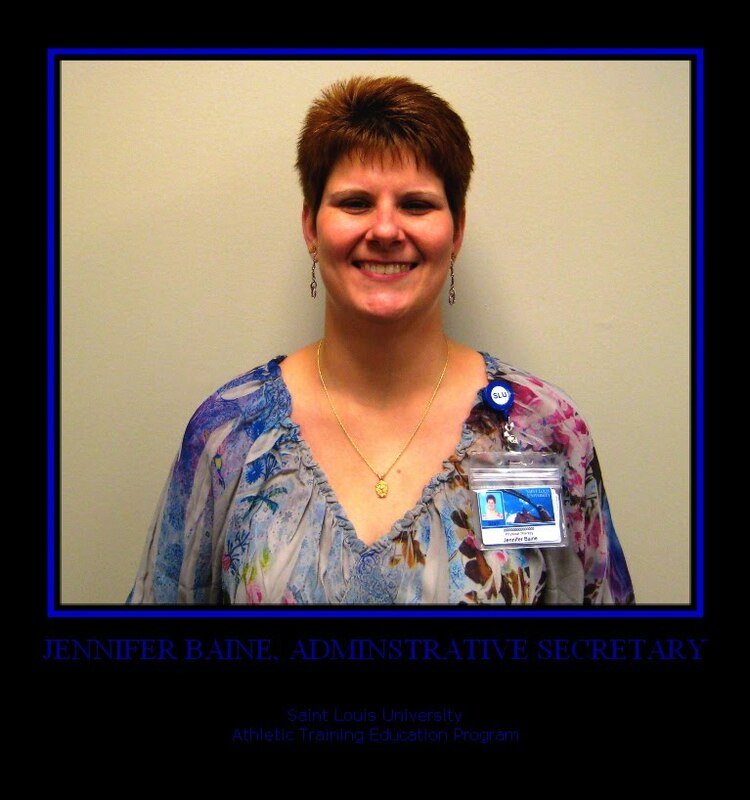 My name is Jennifer Baine and, as of July 22, I am the new ATEP administrative secretary. I have plenty of administrative experience, but I am new to SLU, so please bear with me as I settle in to the new position. I promise to give 110% to make things go efficiently and effectively for students and faculty. My goal is to have a program that runs as seamlessly as possible so that those within it are proud to be a part and those outside can see the cohesiveness of our program which makes it run so smoothly. Please know that you can always contact me whatever you may need that falls within my realm-- setting up meetings with faculty, general questions I may be able to help with (or direct to the correct person), clothing orders, forms, etc… My door is always open to you…….as long as it is during normal business hours. Married with two daughters. One daughter is currently entering her freshman year at Oklahoma Christian University (http://www.oc.edu/) and the other in her junior year in high school. We are a homeschool family. The one entering college graduated from homeschooling and the one in high school is still homeschooled. We use a DVD based curriculum, which allows her father and I to work during the day and I go home and grade papers and give tests/quizzes in the evening. It is a very good program and both of our kids have excelled in it.